Raizes restaurant and bar is on Hackney Road in London’s East End. The name is Portuguese and means ‘roots’ and certainly attracts crowds of Brazilian ex-pats wanting a taste of home. Raizes is not just a restaurant, it’s also a petiscos bar. Petiscos are the Portuguese cousin of Spanish tapas that are popular served with well priced caipirinhas, Brazil’s national cocktail, made with cachaça, sugar and lime. Raizes is a popular and well reviewed restaurant. Though busy at the weekends when Brazilian music is played live, the service is excellent and friendly. This review is based on a number of visits to Raizes, but for this particular review, myself and five friends decided to try some of the main courses on the menu of this London based restaurant. Torresmo is a Brazilian snack of chunky pieces of pork belly fried slowly with spices until crisp. It is time consuming and messy to prepare but made well, they taste delicious. Raízes’ version does not disappoint. Also recommended is the deep-fried Mandioca, freshly cooked as fat chips. Raizes’ calabresa is a smoky flavoured Brazilian sausage cut into thin slices and fried with plenty of onions and served with farofa (toasted manioc flour). We also ordered a portion of Polenta Frita, polenta deep-fried like potato chips that goes well with a meal or just with a beer. Other options that we reviewed on Raizes’ petiscos menu are coxinha (‘little thigh’), shredded chicken and potato purée, shaped like a voluptuous thigh and covered in golden breadcrumbs. The gluten free Pão de Queijo is a cheese bread that is crispy on the outside, soft and chewy on the inside and made with tapioca flour, eggs and grated queijo Minas (a cow’s milk cheese from the state of Minas Gerais) rolled into small balls. There’s also Coração de Galinha, fried chicken hearts. All of these are beautifully made and delicious, giving a true taste of Rio in London. Raizes’ main dishes you will find in many Brazilian homes and throughout Brazil’s bars, restaurants and cafés. Raizes’ Contra Filé á Cavalo is a grilled Brazilian sirloin steak that is both tender and full of flavour, served with rice, well cooked and seasoned beans and fried egg. The Feijoada, one of the few dishes eaten the length and breadth of Brazil and the country’s national dish, is a hearty stew of black beans, sausages and cuts of pork. A labour of love, feijoada done the old fashioned way takes up to 24 hours to make, between soaking beans and desalting pork, which is why most Brazilians go out to restaurants and bars to eat it. Served with rice, kale, orange slices and farofa the flavours are good and rich for our review. The perfect compliment to Brazil’s national dish is cachaça, Brazil’s national cocktail made from fermented sugar-cane juice, best known as the fiery kick in caipirinhas. Espeto Misto is a simple but well-executed barbecued skewer of juicy chicken breast, sausage and rump steak served with rice, chips and farofa. Raizes’ Vaca Atolada are slow-cooked beef ribs cooked with cassava, served with rice and a potato salad. Filé á Parmegiana is oven baked Brazilian rump steak in breadcrumbs topped with a rich tomato sauce and cheese, served with rice, salad and chips. Beer is the drink of choice in Brazil and in Raizes is served very cold. Pilsner beers on offer include Brazil’s famous Brahma, Antarctica, Bohemia and Skol brands. For a non-alcoholic drink, try the Limonada suíça prepared with lime pieces, ice cubes, sugar and water. Brazil is the fifth-largest wine producer in the southern hemisphere, behind Argentina, Australia, South Africa and Chile, yet have been slow to appear in London restaurants. At Raizes you can try some award-winning wines including several European varieties, Casa Valduga’s Merlot and Chardonnay, Aurora’s Brut Chardonnay. Or try Vinicola Guaspari and Vinicola Salton for an elegant fizz with a refreshing finish. Summary review: Raizes’ food and drinks menu is well priced for London. 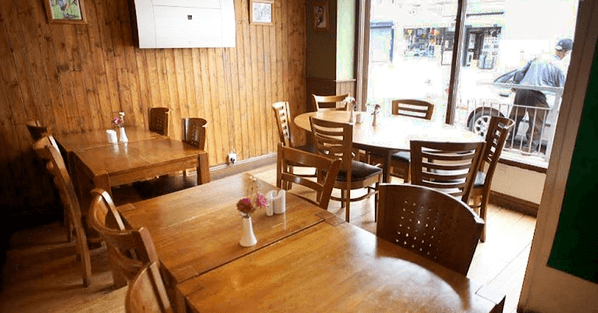 They have an excellent range of home-cooked style dishes, a good selection of well made petiscos, lively ambiance and friendly staff for a taste of Rio in London. See the full list of London wedding venues here.